It breaks my heart to see great old skates being thrown away. 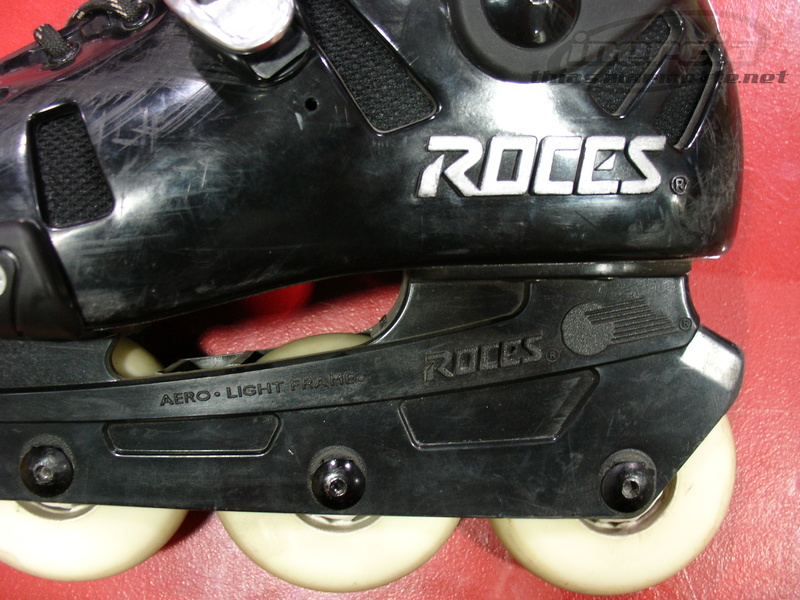 This is what was about to happen to these Roces LAX (Los Angeles) skates when their owner decided to buy new ones in September 2009. Because of their above-average potential, and also because they were my size, I just couldn’t let that happen and decided to give them a second chance. The skates were in relatively good condition, just a lot of scratches on the front and sides, but no real damage. The liners were completely worn and the wheels turning to dust. The spoilers lacked stiffness, like they all did back in the days if you ask me, and their weird green colour wasn’t entirely to my taste, so that also needed taking care of. The small Seba High slider fits perfectly! So the total cost for this customization is 252€ and only took a couple of hours. I really like the result. It’s an original and retro looking skate, and although it doesn’t match any of today’s good freeride skates, it delivers a very decent skating experience. 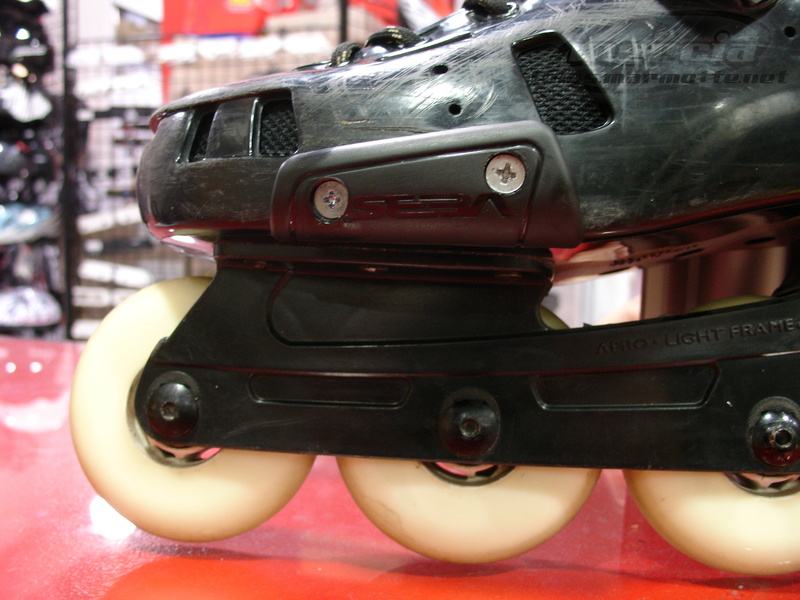 The skates take 4x80mm without modification, which is quite rare for skates from those times, and the 80mm can even be rockered after minor changes to keep the front wheel from touching the plastic above it. I’m the owner of a pair of Roces LAX size 10,5 (bought back in ’96). I’ve used them for about 14 years until the left boot cracked on me while doing a brake-twist. I would like to replace the boots and keep the frames, bearings and wheels, since those are still working fine (Changed the bearings/wheels not so long ago, and I like my old “Tartaruga” frames). I know today’s skates are made with UFS measures, and I’m pretty sure the LAX are pre-UFS. Any ideas about where to get the boots and how to replace them? One other thing you could try is to “fix” the boot with some kind of fiberglass or special plastic. If it can be done on the inside and in a place where it would not bother the foot, it might work. As a last note : Twister 243 frames fit nicely the LAX models which have Tartaruga frames, since those are mounted with screws (unlike the one here where the plastic frames are riveted). So if you manage to save your shells and want to upgrade your skates, it’s a good and not too expensive option. 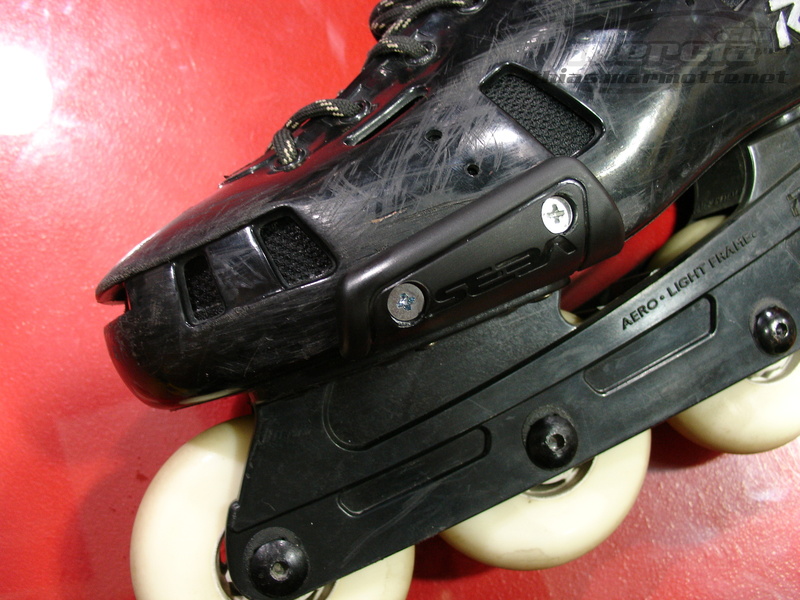 If you can’t save them and you liked them a lot, complete Rollerblade Twisters would definitely be skates you’d feel comfortable with : Shells even harder, cuffs even stiffer and aluminium frames. I’ll definitely keep an eye on eBay for those shells, which unfortunately are way beyond repair (the crack goes from one side to the other). You’re right about the Tartarugas, they’re heavy and plastic-made; however, I would like to try to “save” them as well as the rest of the parts that are still working. I’ve noticed that the shells and the frames are connected by using some “spacers” which are attached to the shells by using rivets. The spacers have all the necessary holes and pins to attach the Tartaruga frames, so I was wondering if you know where to get some basic shells to which I could adapt the spacers and then just screw the frames to them. Adapting the spacers seems pretty straightforward, since it only involves some perforations and putting some new rivets. One thing to keep in mind, though, is that the back of the LAX shell (and also the Tartaruga frame) is higher than the front (I think the Twister 243 are also like that, judging by some photos). They seem to have exactly the space/shape to hold the LAX spacers, can you confirm please? Since I’m sensing that may be you too live in Europe, any idea where to get those inside Europe? I don’t think these would be an easy fit. The Classic Thrones are very uniquely shaped, which maybe doesn’t show enough on the photos : The heel part needs a big large sole plate in order to be complete (read: “to not leave the rear sides ugly because of missing plastic”), the front is nearly the same, and the cuff holes won’t match as the Throne cuffs are very wide, whereas the LAX are much more narrow. 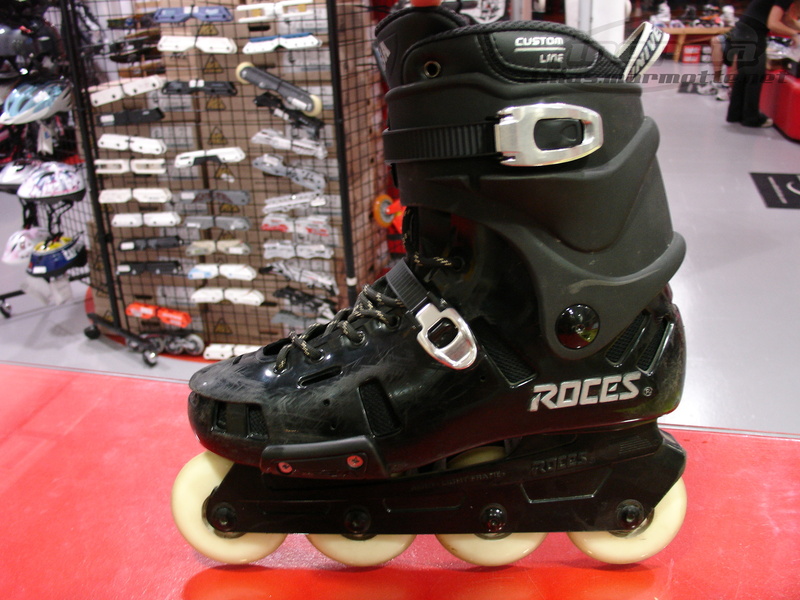 I own a pair of Roces STO Stockholm inline skates, they have the Tartaruga frames and came with a 72mm wheel and abec3 bearings. I was kind of hoping to upgrade both wheels and bearings but I am not too sure if these frames can take a bigger size wheel. I would really appreciate if you could tell me if these frames are capable of the kind of upgrade I was thinking of (76-78mm wheels and perhaps abec5-7 bearings. I’d have to check on the ones I have to be sure what the maximum wheel size is for the Tartaruga frames, but I’m quite sure it’ll be 72 or 76mm, no more. And 78mm wheels are quite hard to find anyway, at least decent quality ones. Thank you for your swift response. Spoke to a fellow skater who advised me that the type of frame I have doesn’t support rockering the wheels. Would this help any? Sorry for the time it took to reply. Rockering doesn’t help at all, unless you want to skate with a rockered setup, usually for slalom. If you just want to skate around in a typical “fitness” way, then a normal flat setup is best anyway. Hello Thias, wow what a find. It’s quite cool to see someone resurrecting what is now considered “retro” inline skates. 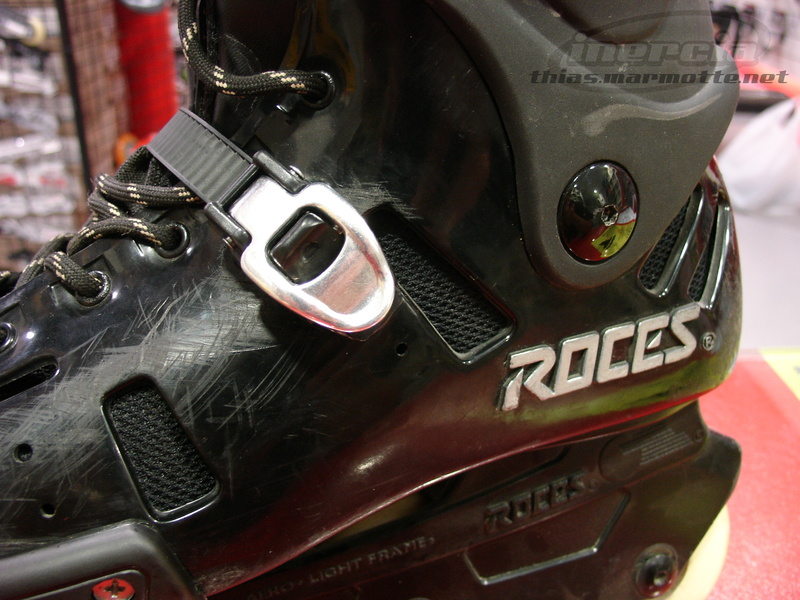 I have a pair of size 9 (US) Roces LAX inlines I bought and hammered on street and hockey back in the early/mid 90’s. I think I bought them in either 93 or 94. That said I haven’t skated for about 15 years and pulled them out to skate last weekend and the cuff snapped off just behind the buckle mount. I would like to fix them and have found what looks like an almost brand new pair for sale for a reasonable price. I was excited about just getting another pair (same colour silver as well) to use but unfortunately these are a size smaller than mine. Do you think the cuff is swappable from a size 8 (US) to a size 9 (US)? From what I see it seems relatively easy to do from your blog. Do I need LAX liners or can I buy any after market if they are available. Do you have any other mods you would recommend for these skates. Thanks and keep up the great work I love it. Hi! I really have no idea if the cuff size is the same for skates sizes 8 and 9 US. You could be able to know if you were able to look inside the cuffs and see the engraved text, something such as “8-10″… yet even then, on Italian skates those are often the UK sizes for some reason. What might also be the case is both sizes not only sharing the same cuff, but the exact same size shell : Most of the time to save costs, 2 or 3 consecutive half-sizes share the same hard shell, and only the liner and/or sole change. Again, you’d have to check somewhere on the skate’s shell to see the number. About the liners, you’re going to have a hard time finding ones that would fit perfectly. The LAX is a typical “old school” skate where both the cuff and liner go really high at the back. 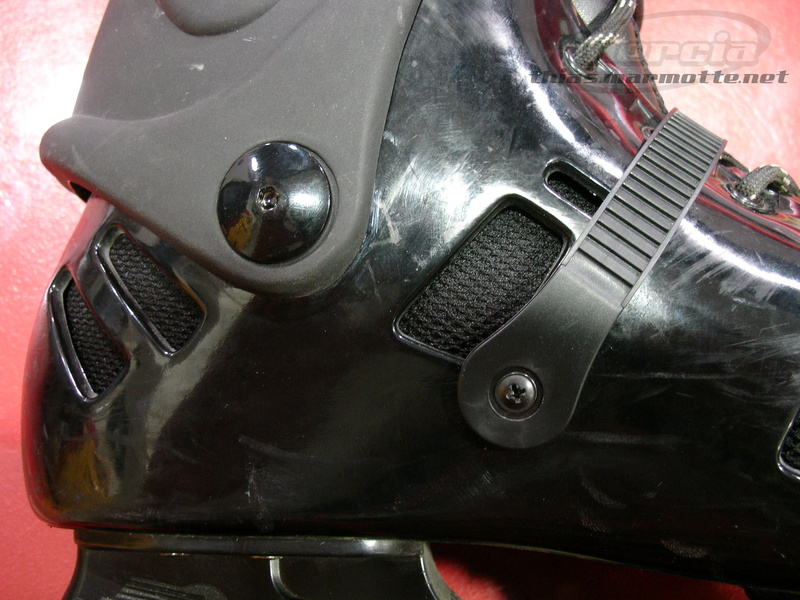 Today’s skates are typically lower at the back instead, meaning that for recent liners (like the Seba FR I used here) you might have an uncomfortable situation where you’ll be able to feel the cuff with your leg at the back. Also, these old skates had very thin liners compared to recent skates, meaning that they might end up being too small when fitted with recent liners. As much as I like the LAX, you really need to be nuts to want to resurrect at pair instead of just buying new skates. Sure, you can see from this article that I am completely nuts :-) … but for most people who loved their hard shell Roces skates back in the days, I would really recommend going for some new Rollerblade Twisters or Seba FR instead : They have much more thick and rigid shells, just that difference is well worth it. Then they have good aluminium frames, standard axles, etc.